Don't live in a pest-infested house any longer. Hire Life Pest Control to get rid of your termites or other pests once and for all. Life Pest Control provides tent fumigation services to get rid of termites and a variety of insects. Our skilled termite specialists will make sure your home is pest-free as quickly as possible. 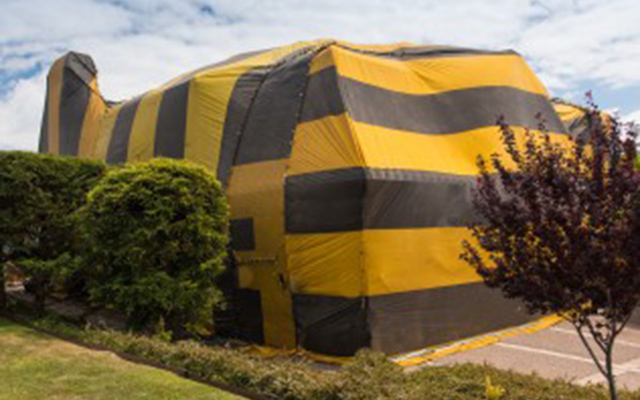 Not sure if your infestation requires tent fumigation? Speak with a pest control expert in West Palm Beach, FL today to discuss the pros and cons of this process. We work with industry-leading fumigation companies and we ensure to have a smooth process from start to finish. We will be with you throughout the entire process and will always have a personal contact for any issues or questions at any time. Rely on Life Pest Control to take care of your pesky problem. Call (561) 502-5949 right now to schedule tent fumigation services in West Palm Beach, FL.